For those who value of their working environment as highly as they do their living space, The Malt District’s exclusive selection of premium SoHos combines residential and commercial space to deliver nothing short of perfection. The Malt District’s first release, Coppins Corner, consists of over 200 residences, with just six SoHos (Small Office/Home Office) on offer. The unique product is offered as either a two or three bedroom apartment that sits atop commercial space on ground level – the ideal spot to set up office for an unbeatable commute. Simply walk downstairs, switch to work-mode and get to it. In the midst of a co-working craze, where startups are a statement for cool and freelancers are dictating their own terms, the professional world and indeed the physical environment of offices are evolving fast to keep up. Cubicles, fluorescent lighting and rigid chair are things of past, swiftly being replaced by open-plan offices, natural light or cosy lamps, and comfy couches to boost productivity. And that’s exactly what the SoHo offices at The Malt District are all about. Whether you’re working from home today, making headway on your novel, running a creative small studio with a few employees, or opening a boutique retail store, having an elegant space on the ground level of your apartment will take your work-life balance to a new realm of convenience and enjoyability. Those who plan to transform their lower level into a retail set up will benefit from The Malt District’s thriving atmosphere of local visitors, interstate tourists, office workers, residents and hotel guests, providing a constant influx of potential customers. As an office, each SoHo offers enviable connectivity to the city and public transport, ideal for heading out to midday meetings. And surrounded by the rich history of the site featuring the iconic Nylex Clock, open space soaked in sunshine, cafés set into heritage buildings for lunch and bars for after-work drinks with the team, the location can’t be rivalled. 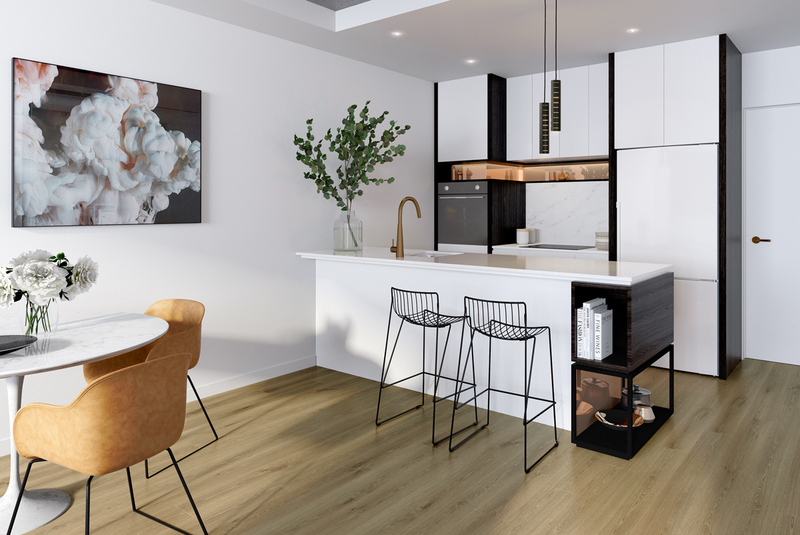 As residents of Coppins Corner, SoHo owners will share the stunning rooftop terrace with indoor and outdoor dining on site and be able to take full advantage of the beautiful views. Other shared facilities include a health club with a fully equipped gym, yoga studio, sauna and massage pods – perfect for de-stressing after a long day’s work. Coppins Corner development in The Malt District has been partially sold with early works commencing soon. 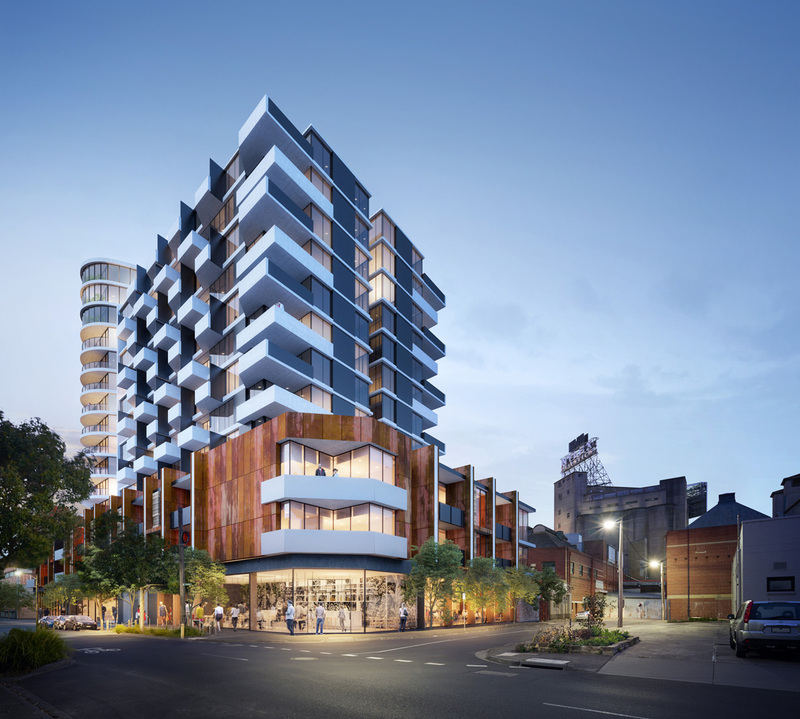 For more information or to enquire about SoHo properties at Coppins Corner, The Malt District, click here.